Sharp has created a tablet for the Japanese market that comes with built-in NFC and contactless smart card readers that will enable businesses to interact with their customers in completely new ways, reports TechCrunch. The RW-T107 Gingerbread tablet is seven inches and also includes a microUSB, a HDMI port, SIM card slot and headphone jack. With it, a retail sales associate can complete a transaction without being tied to a cash register. The tablets also have other capabilities such as checking loyalty points in a store. The tablet is ideal solution for the Japanese market, which heavily uses contactless payment cards and is adopting NFC mobile wallets. 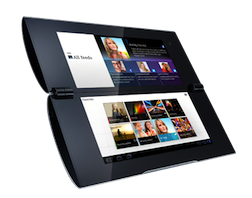 Sharp plans to manufacture 5,000 tablets a month and market them solely to the commercial channel.